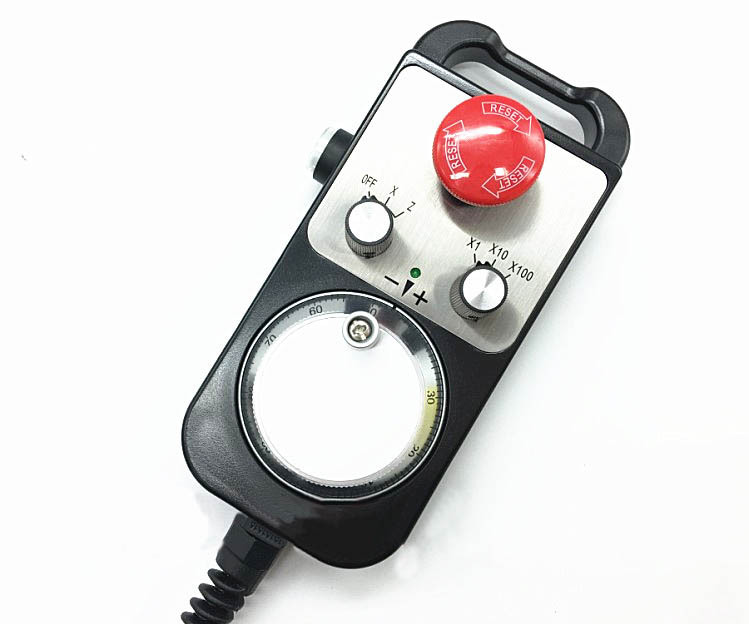 Sell MPG handheld hand wheel for Fanuc, Mitsubishi, GSK, Siemens. All with emergency stop from reset. 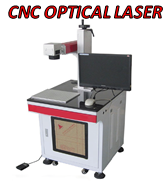 Applicable to a variety of CNC systems, such as FANUC, SELCA, HANUC, GSK, SIMENS, MITSUBIHI, FAGOR, NUM, HEIDENHAIN, LNC, SKY, WASHING, NHC, DASEN, CASNUC, GREAT and other well-known CNC system. Up to 12 axes can be controlled. Can be customized according to customer demand output voltage DC24V. 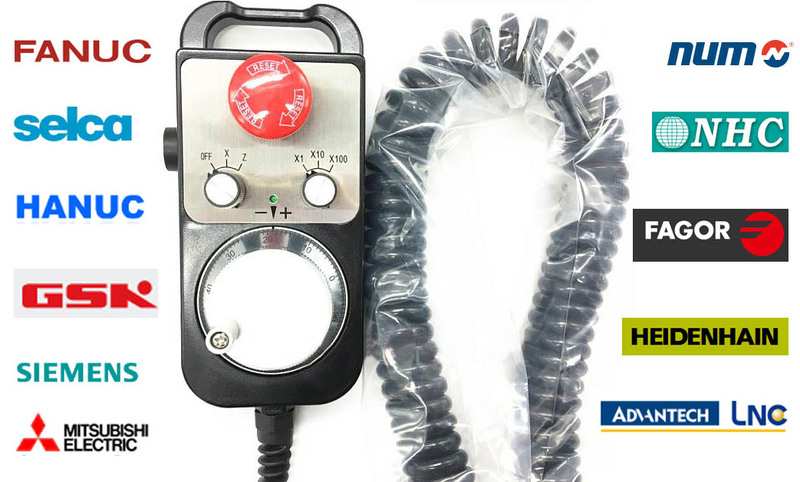 Note: The missed line must be cut bare copper, and then single package single, can not touch other lines, components and shell, so as not to short circuit. 1. 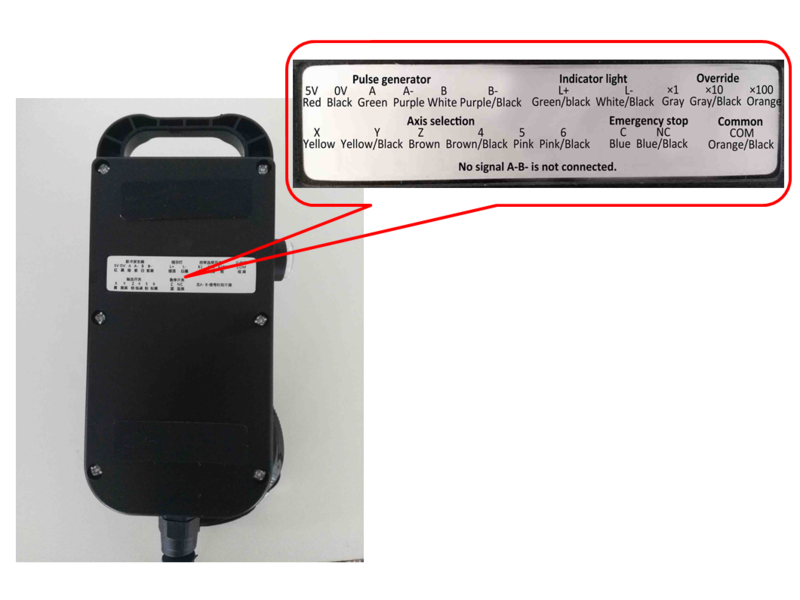 Please read this manual carefully before wiring, to avoid affecting the handwheel operation. 2. 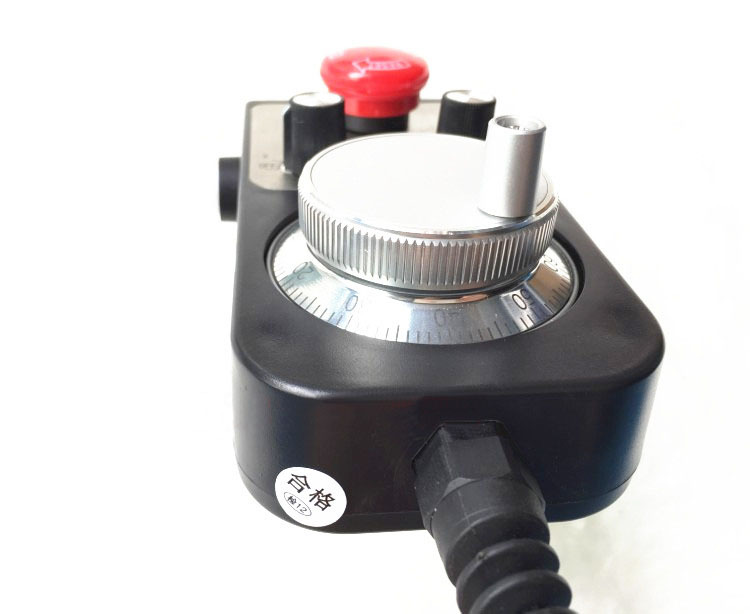 Encoder positive and negative line can not be reversed, the voltage is too high will burn, usually 5V, individual systems such as Mitsubishi is 12V, PLC is 24V. 3.COM point for the handwheel switch public point, must access, otherwise it will not work properly. 4. 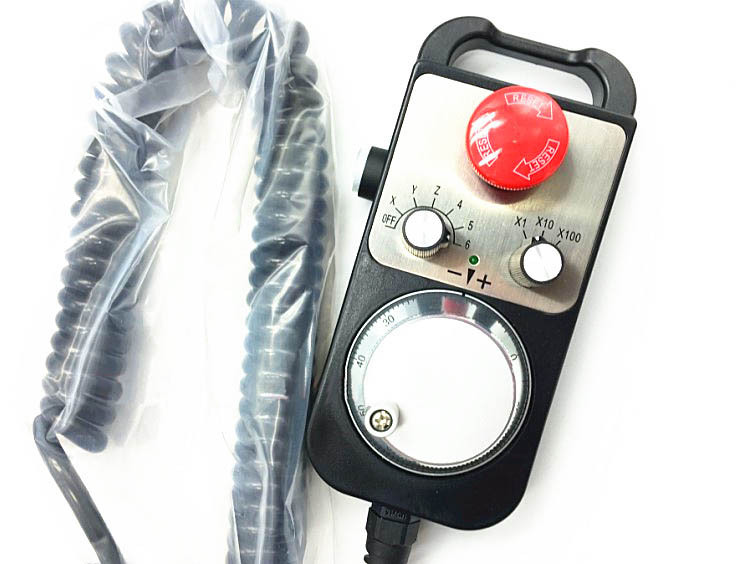 Handwheel to be gently and careful to take, the collision is easy to damage, turn the code disc and switch can not be too loud, so as not to affect the service life. 5. No signal A-, B- is not connected. 6. 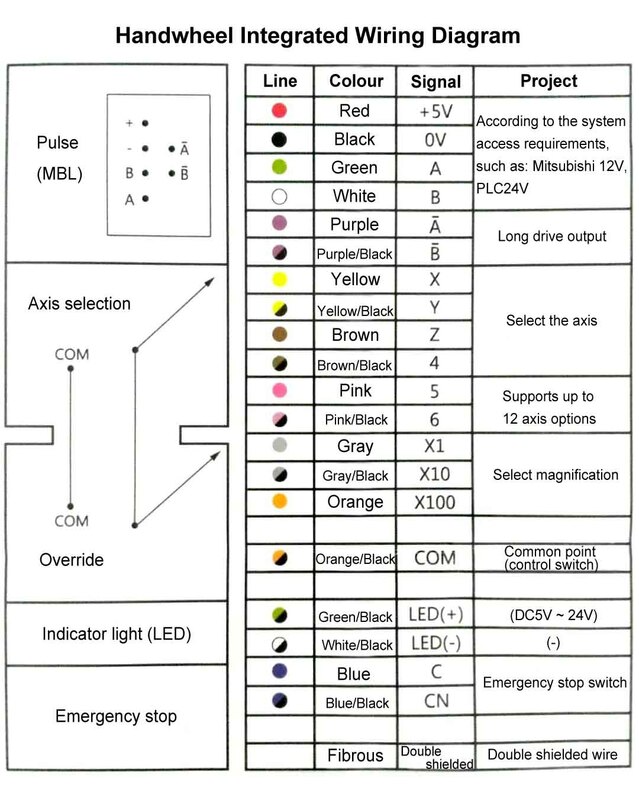 Mitsubishi no A-, B- signal, PLC no A-, B- signal is not connected.